The Twilight Zone had several classic stories featuring characters that were left to ponder how the world around them had suddenly gone topsy turvy. For example, “Five Characters in Search of an Exit,” featured five such “people,” who were trapped in a large, round metal prison — how did they get there, how can they escape? Earl Holliman found himself alone, in a deserted town, in “Where is Everybody?” The feeling of being hopelessly alone drove him mad. Director Ryan Smith’s mysterious horror tale, After, covers similar ground as these stories and for genre fans — especially those who love The Twilight Zone — it is like meeting an old friend; a kindred spirit. Word arrived this past week that Mongrel Media, with sales and distribution expertise provided by MVD Entertainment Group, will be releasing After on DVD this coming Jan. 17. As the film opens we are introduced to Ana (Karolina Wydra), a nurse, and Freddy (Steven Strait), a would-be graphic novelist, who are fellow passengers on a bus. They are strangers, just riders heading home, who have a brief conversation and then WHAM … the bus is involved in an accident. Ana awakes to find herself in her own bed. Was it a dream? It seemed so real, but all she knows right now is that she is late for work. So off to the hospital she goes to work her shift. It’s empty. In fact, the entire town is empty. Terrified, she follows a source of music to a house and there is Freddy. Just the two of them, alone, all alone in their little town … it certainly seems that they are either sharing the same nightmare or they are dead. 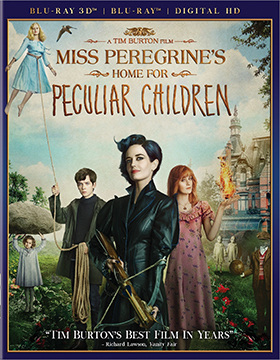 Paramount Home Media was busy this past week with a flurry of new Blu-ray and DVD product announcements that will be ready for consumers during February of 2017. 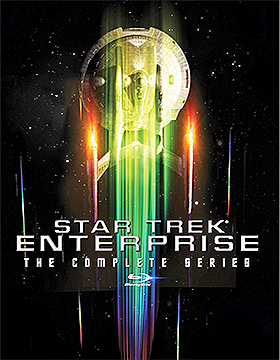 On the Blu-ray front, Feb. 14 will see the arrival of the massive 24-disc collection of Star Trek: Enterprise – The Complete Series. All 98 missions of the NX-01 Enterprise — commanded by Captain Jonathan Archer (Scott Bakula) — are included here. 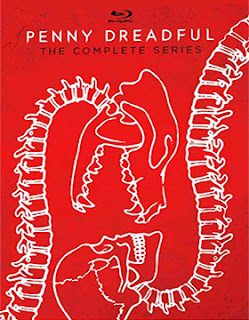 One week earlier, Feb. 7, nine disc collections on both Blu-ray and DVD of Penny Dreadful: The Complete Series will be also be available. Also heading home on Feb. 7 are two complete DVD collections. These are: The Twilight: The Complete 80s Series (a 13-disc set) and the complete adventures of the animated would-be stoners, Beavis and Butthead: The Complete Collection (eight disc set). Lastly, Feb. 7 sees the DVD release of director Kenneth R. Koch’s 1999 made-for-TV film, , starring Melissa Joan Hart as Sabrina, a teenager with magical powers. In this feature-length adventure Sabrina travels to Australia with Gwen (a Brit with “special powers” too) and falls in love with a very special young man named Barnaby. 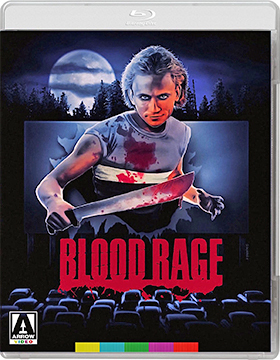 Arrow Video, with domestic sales and distribution support provided by MVD Entertainment Group, has tabbed Jan. 24 as the street date for a new 2K restoration (from the original camera negative) of director John Grissmer’s 1987 slasher classic, Blood Rage. Todd, Terry, which is which? One is a homicidal maniac and the other is a sweet young man who wouldn’t harm a fly. They are identical twins. That’s your set-up for this twisted (including a nifty “twist” ending) slasher flick starring Mark Soper (The In Crowd, Swordfish, etc.) as both Todd and Terry, with Louise Lasser as his mother. 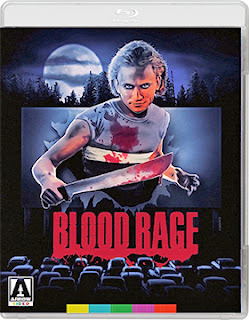 The opening hook is a slaughter sequence at a drive-in theatre and Todd is revealed as an out-of-his-mind killer. Locked away, time passes and now it’s time for things to get really messy as Todd escapes and goes on a killing spree. Or is it Todd? Could it be Terry? One thing is for certain, guess wrong and you’re dead! 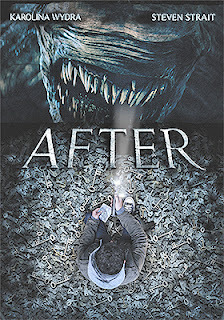 Bonus goodies include commentary from director John Grissmer, alternate opening titles, a stills gallery, the featurette titled “Return to Shadow Woods” and video sessions with actress/producer Marianne Kanter, actors Mark Soper, Louise Lasser and Ted Raimi, plus a video session with make-up effects creator Ed French. 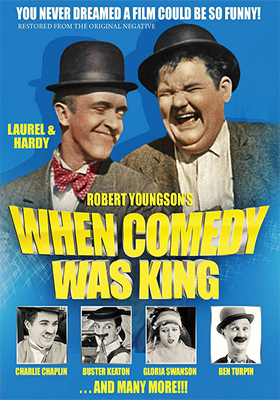 The Sprocket Vault has made available to DVD a remastered presentation — from the original 35mm negative — documentary filmmaker Robert Youngson’s 1960 film tribute to comedians of the Silent Era, When Comedy Was King. This vintage theatrical presentation (coming up on 57 years) took a loving look back at the great screen comedians that starred before films found “their voice” … it was all visual back then, ranging from sight gags to clever storytelling twists. Included in the mix are film clips and comedy bits featuring such legends as Charlie Chaplin, Buster Keaton, Laurel and Hardy, Ben Turpin, Roscoe 'Fatty' Arbuckle, Charlie Chase and Harry Langdon. Bonus nuggets included in this collectible DVD release are commentary from filmmaker Robert Youngson and three silent comedy short films — An Elephant on His Hands (1920 – with Hughey Mack and Dot Farley), Fast and Furious (1924 – featuring Lige Conley) and Heavy Love (1926, starring Frank Alexander, Hilliard Karr and Kewpie Ross … literally a ton of fun!). 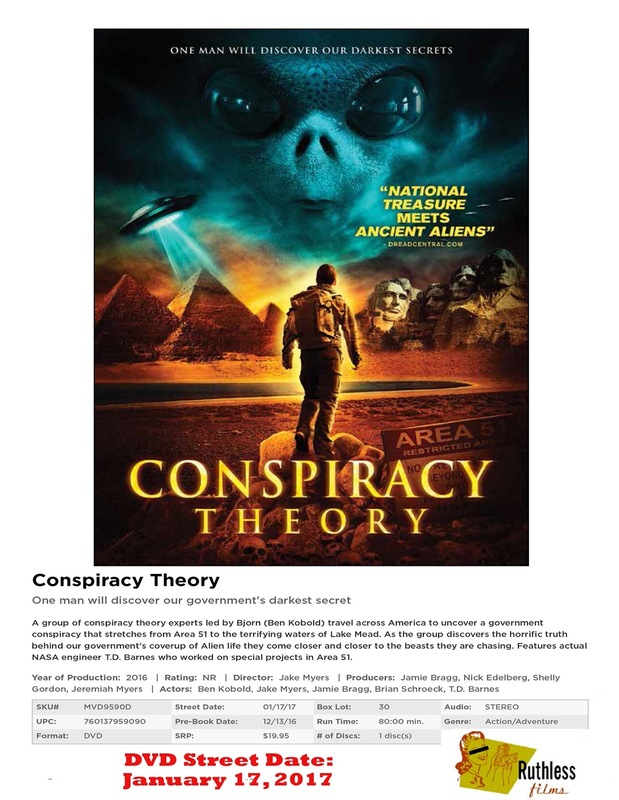 Ruthless Films, with sales and distribution support provided by MVD Entertainment Group, has tabbed Jan. 17 as the DVD debut date for director Jake Myers’ Conspiracy Theory. Björn Eriksson (Ben Kobold) is one of those UFO, alien invaders, Big Foot, lost treasure, Area 51 — pick your poison — nut jobs. He makes television “documentaries” about the strange and unexplained (well, “unexplained” if you are not looking too closely for an explanation). “Alien Engineers” is his series and his latest theory is that the water level of Lake Mead has fallen so low that alien submarines can no longer maintain their secret — strange lights, that “people” have reported, are his evidence for this. But there’s more evidence. 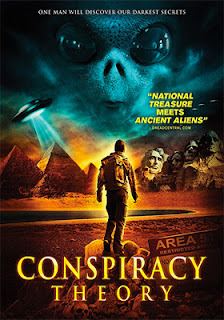 Southern Nevada is the epicenter for alien culture and Eriksson has plenty of footage to prove it (say, what about that giant glass pyramid and all those mysterious carvings right out there on the Las Vegas Strip). Of course Eriksson and his film crew, including Britney (Jennifer Mills) and Jamie (Jamie Bragg), are living in some sort of alternate universe. This is a joke right? He says that Area 51 is really an alien morgue and research is being conducted on their DNA and mice! Where does he come up with this stuff? But, what if there is something really under the lake, the lake that has become “dangerously” low!! We follow their investigation “out there” (meaning a boat ride on the lake) and they indeed discover something … a deadly mystery that makes the silly suddenly real! Perhaps “Alien Engineers” will need a new host and film crew much sooner than expected! Conspiracy Theory is great fun, with a mocking tone, that turns deadly serious is the third act. There is indeed “something” out there … Mulder & Scully would be proud! 20th Century-Fox Home Entertainment finally made it official this past week. Miss Peregrine’s Home for Peculiar Children will indeed be retail-ready in time for Christmas. 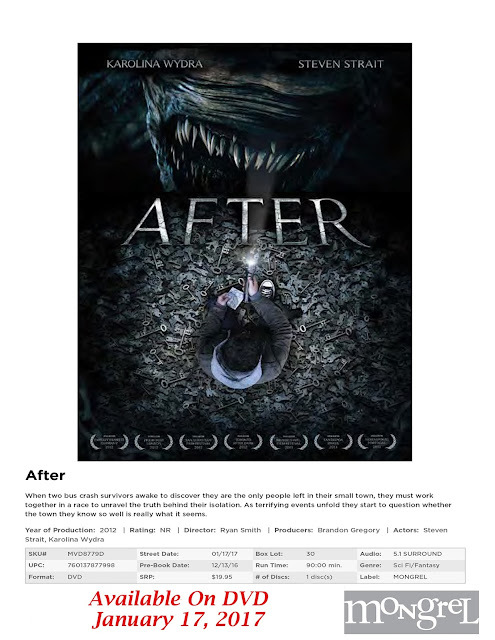 About two weeks ago Ingram Distribution’s videoeta.com web site, which is usually out in front of everyone (for pretty obvious reasons), was touting a Dec. 13 street date for DVD, Blu-ray/DVD Combo Pack (two separate SKUs — one with and one without a 3D viewing option) and a 4K Ultra HD/Blu-ray Combo Pack selections of this Tim Burton hit film adaptation of the Ransom Riggs best-selling novel. Amazon.com immediately followed with order taking for that mid-December street date, but then there was no follow-up from Fox. Days passed, nothing. A week went by, nothing. Another week came and went and again … nothing. Both sources pulled back on the date, so the DVD & Blu-ray Release Report held back on reporting the date. Perhaps the “new world” would be delayed until January. And then, bingo the official press release from 20th Century-Fox Home Entertainment arrived and cheerfully confirmed that Dec. 13 would be the date. Thus it will be that on Dec. 13 everyone will be able to discover what Jake’s (played by Asa Butterfield — Ender’s Game, The Boy in the Striped Pajamas, etc.) 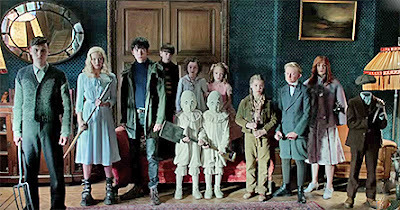 peculiar power is at Miss Alma Peregrine’s (Eva Green — Casino Royale) magical home where very “unique” children dwell, including the lighter than air Emma (Ella Purnell). But, beware the Hollows! 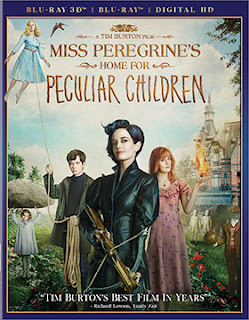 For the record, Miss Peregrine’s Home for Peculiar Children arrives in the home entertainment market place with a lightning-quick ARR of just 74 days. Ticket sales were an impressive $86.2 million. Warner Bros. Home Entertainment announced this past week that Animal Kingdom: The Complete First Season will be available on Feb. 14 as both DVD (a three disc collection) and Blu-ray (a double-disc set) product offerings. 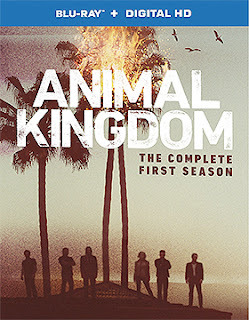 All ten episodes featuring the Cody Clan — headed by “Smurf” Cody (Ellen Barkin) and her four sons, including “Baz” (Scott Speedman), who is adopted, but nevertheless a Cody through and through — are presented here.